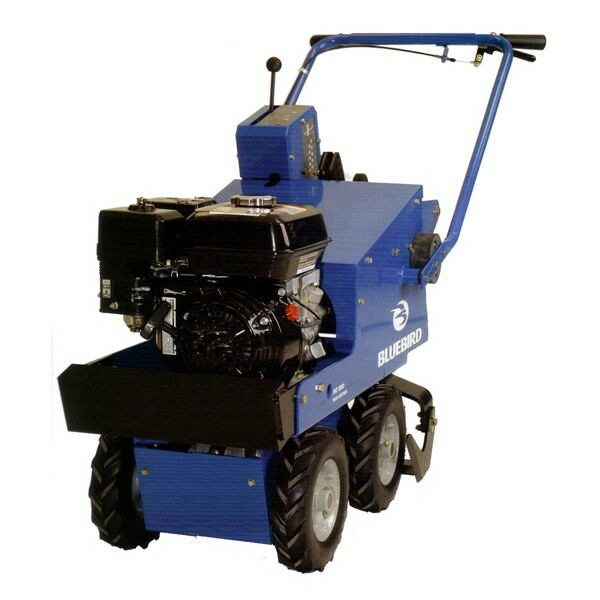 Where there is turf to remove, BlueBird’s Sod Cutter will cut up the competition. A four-wheel drive transmission, a low center of gravity, and a vibration-isolated handle make it the smoothest and most stable sod cutter on the market. Its as easy as 1 – 2 – 3! Just choose a cutting depth and engage the blade, then choose ground speed and engage throttle lever. The Bluebird Sod Cutter has many new and improved features to make even the toughest job seem easy. Its simplistic design also makes service and maintenance easier with fewer parts. NOTE: Please abide by the safety decals or read the safety instruction factsheet provided before operating Turf Cutter.